Calathea Rufibarba is a tropical plant featuring rippled green leaves with a purple undersides and stems. A lovely plant for adding dark-toned texture. This plant loves warmth but not direct sunlight. 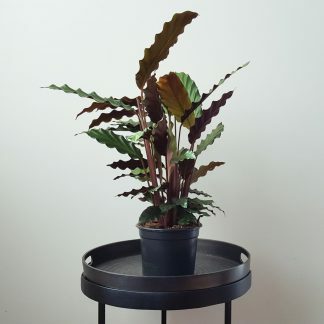 Water this Calathea regularly but allow it to dry out slightly between waterings.